Shazam! The crack legal team of Herr Robert Mueller have pounced on a real crime (they say), and all the loudest voices in today's politics have agreed on this farce, just as if it were the real thing. 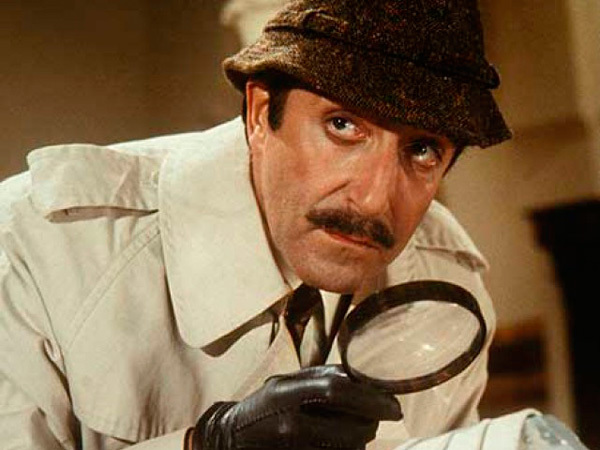 Liberals around the country are getting chills up their spines as the official Master Sleuths close in on...whom, exactly? And why, exactly? And in obedience to what principle in the Constitution, or in common law, or in common sense, for that matter? The answer is that there is no legal, moral, or sane principle to be seen. None whatsoever. This is pure, emotional mob scapegoating under color of law – but not any law that adheres to the U.S. Constitution. The American Founders were steeped in the Western Enlightenment of the 18th century, and they would chew up and spit out all the rationalizations of all the liberal witch hunts since Watergate. This is all made up legal fiction, in direct violation of the very basis of civilized legality. There is actually no sane or rational basis for the special prosecutor. Special prosecutors are really "special" – they are magicked into being from some extra-constitutional fringe of the law, whenever the Democrats and the Monsters of the Deep feel threatened, as happened during the Stalin years (when the State Department featured Stalin agents); during the George W. years (when the Democrats first voted for the Iraq War, and then, when American troops were in the field, stabbed them in the back); and in last year's election, when Ms. Hillary was downed by a fiendish Electoral College, which (according to the Democrats) isn't even in the U.S. Constitution. What do you expect from our lousy education system? So Mr. Mueller has indicted his ham sandwich, responding to the fierce outcry of The American Public (as shown in the New York Times op-ed pages and the WaPo). He is giving us a couple of victims to hang. There, that should make everybody happy. This is pure and simple mob justice, of the kind practiced throughout ancient history under the heading of scapegoating. Remember, in the Book of Leviticus, the scapegoat was an actual goat – quite innocent of any crime – that was driven off to its death in ancient Israel, to carry with it all the sins of the people. The act of scapegoating is not limited to Scripture. It is a human universal, and it belongs in the ancient gallery of emotional defenses against guilt and anxiety. Scapegoating was a favorite practice of European mobs in Poland and Russia, and in Germany and France, and anywhere else where an evil Other could be found. Africans practiced mob scapegoating in Rwanda, and Muslims have been doing it in Sudan for the last thirty years. In Europe, the Jews were convenient scapegoats much of the time, and Russian Orthodox priests scapegoated Polish Catholic priests and vice versa. Catholics did it to Lutherans, and Lutherans did it to Catholics. In Obama's childhood home of Jakarta, the Indonesian Army scapegoated the Communist Party and the Muslims, but then everybody scapegoated the Overseas Chinese, who were easy to recognize as an ethnic group, and they were rumored to be rich, besides. The Klan is the most notorious example of mob scapegoating and yes, murder, in recent American history. The late Robert Byrd could tell you all about that. Now we have the special counsel and his personal buds – Comey, Brennan, and Clapper – who could also explain it all, because they are the ones afraid of headline exposure of their actions during the Obama years. Everybody is afraid of indicting Hillary for crimes committed in plain view, because Hillary might bring down the whole house of cards. But Americans who bother to pay attention to politics have a pretty good idea about the Deepsters and the Democrats under Obama and Hilary. With any luck, the Mueller team will throw us a bone, too. But it won't be the chief perps, because they have protection. So here we are, after months of mighty efforts. Why, it's that old guilty-before-innocent master criminal Manafort and couple of guys I forgot. Whatever it is, they are guilty, guilty, guilty! In Stalin's Russia and Hitler's Germany, doing or saying anything that offended the dictator was against the law, ex post facto. Just like Wellesley, Yale, and Harvard today. If you say something offensive to the LGBTX crowd, you're hung out to dry on our college campuses today. It's universal primitive mob logic, and it belongs in the concentration camps of North Korea, if anywhere. It certainly doesn't belong in any civilized, law-abiding nation. Outside a French bedroom farce, nobody believes this stuff. Mueller and his team are the most expensive script-writing and amateur acting team in human history, just like Shakespeare in the Park, which recently stabbed the duly elected president of the United States in effigy, in front of a roaring mob of stoned liberals, today's version of the old Klan rallies of the antebellum South. Why, Kathy Griffin even cut a symbolic mask of Donald Trump "at the neck," as prescribed in the Holy Quran, and paraded the nasty thing in front of even more howling liberals. Is it even worth saying that real liberals, like Jack Kennedy, Hubert Humphrey, and Ronald Reagan (an FDR liberal), would be puking at this sight? The liberals of 2017 have fallen back on the Stalinist past, before the AFL-CIO threw out the totalitarians. But that would take some history, and it's lost on today's Democrats. Still, the American people are watching. Judging by the last election, they are quietly watching this farce.